The repeated refrain of Justice C.S. 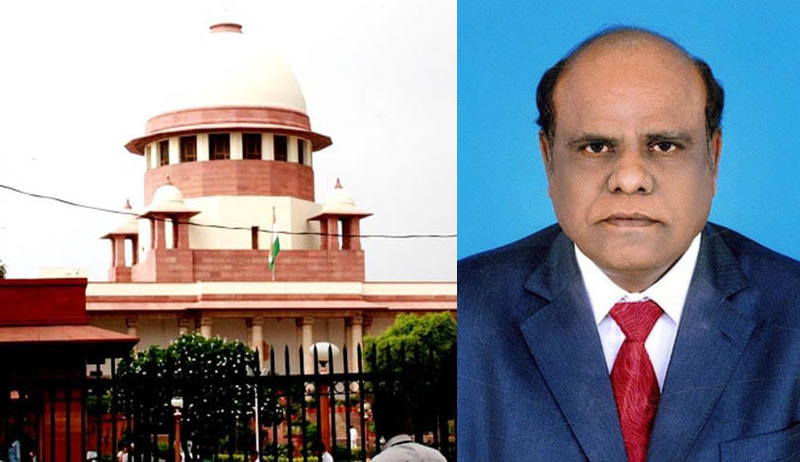 Karnan of the Calcutta High Court that the consequences which have followed his erratic and unbalanced behaviour are in fact illustrations of caste discrimination can only serve to undermine and make a mockery of the serious issue of caste and judiciary. The law dealing with contempt of court forbids the imputing of motives or biases to a judge. However, it may be instructive to look at some judgments of courts dealing with offences under the Protection of Civil Rights Act, 1955 (PCRA) and the SC/ST (Prevention of Atrocities Act, 1989 (Atrocities Act). Two separate cases came to be registered against Phulsing – one with regard to the incident involving Balla, and the other, with respect to Parsadi and his wife – for insults on the ground of untouchability under section 7(d) PCRA. The Madhya Pradesh High Court acquitted Phulsing in both the criminal cases with respect to Balla as well as Parsadi and his wife with a rather puzzling observation, “Now calling a chamar a chamar may be insulting him but it would not be an insult on the ground of untouchability”. Enforcing any social disability on the ground of untouchability with regard to use of utensils kept in restaurants, hotels, dharamshalas, sarais is an offence under PCRA. The Karnataka High Court in a case where separate cups and saucers were kept for harijans, acquitted the hotel proprietor on the grounds of a 12-hour delay in filing the complaint, the prosecution witnesses being related to each other and that the complaint did not specifically mention that the accused had kept the utensils separately. (State of Karnataka versus Irappa, 1981 CRl LJ NOC 104 (Kant). Preventing any person from exercising any right accruing to him by reason of the abolition of untouchability under section 17 of the Constitution is an offence under the PCRA.20 Similarly, encouraging any person or class of persons or the public by words, signs or otherwise to practise untouchability21 and insulting or attempting to insult a member of a scheduled caste22 are offences under the PCRA. In a series of workshops I conducted on ‘Minimizing the Impact of Biases, Prejudices and Stereotypes on the Judicial Decision making Process’ with judges at the Delhi Judicial Academy, National Judicial Academy and Karnataka Judicial Academy caste though an important component of the Indian psyche proved to be the most difficult area to access. The mechanism of correction envisaged in the legal system is appeal to a higher court. An aggrieved party in appeal gets an opportunity to show the flaws in the judgment of the lower court. However, the grounds which can be taken in appeal are in the domain of law. As far biases and prejudices in areas like caste, class, religion, gender and sexual orientation are concerned, self-correction by judges is the only recourse. Rakesh Shukla is an Advocate practising in the Supreme Court of India and Consultant, International Psychoanalytical Association Committee of Psychoanalysis and Law.